Biscuit and slice recipes that don’t require creaming the butter and sugar are always among my favourites. They are that much easier to make and usually use less bowls which equals less washing up, always a good thing. This is a simple recipe for Date Bars although I notice that the method misses out on adding the margarine – I’d just melt it and add it when mixing in the dates and walnuts. 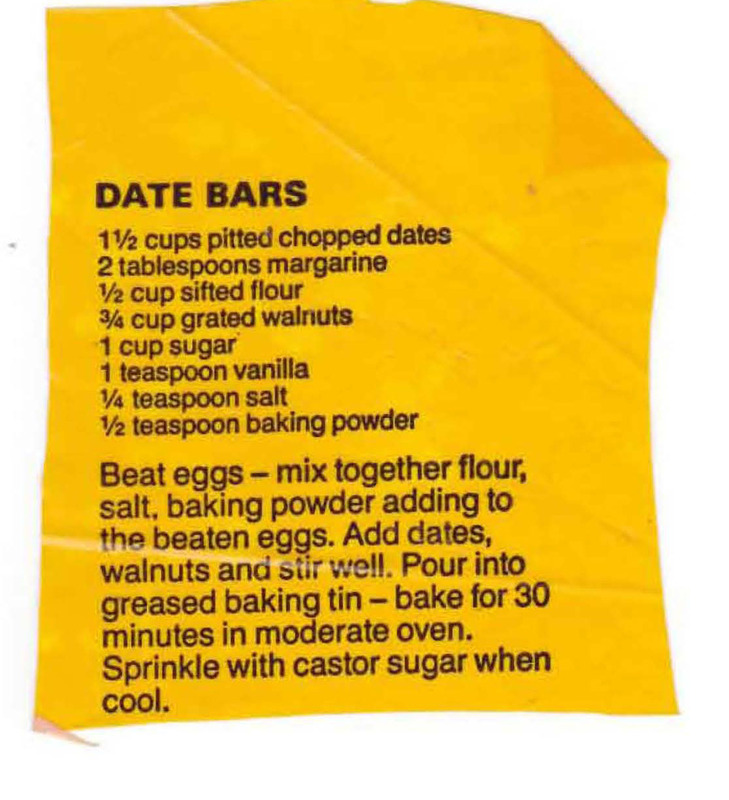 This entry was posted in All Recipes, Biscuits & Slices and tagged 1970s, date bars, dates, walnuts by bebsrecipes. Bookmark the permalink.